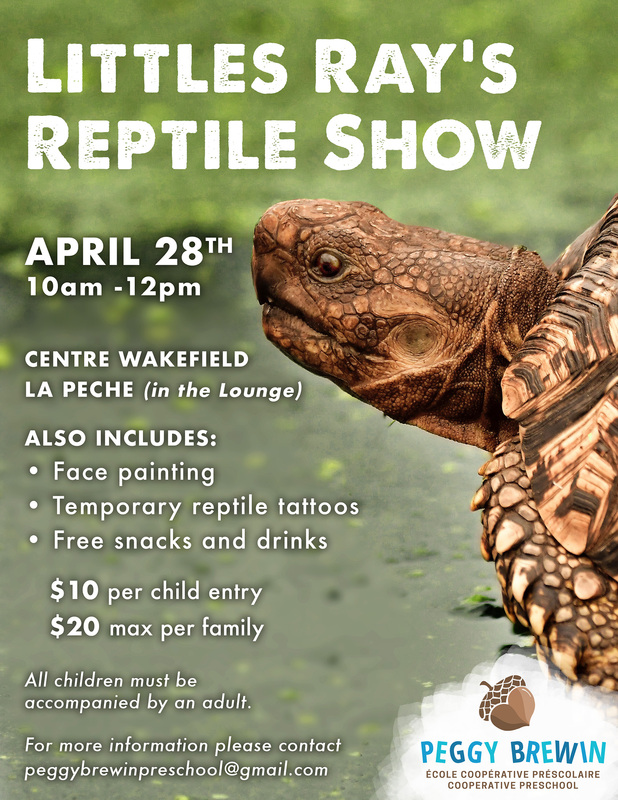 Little Rays Reptiles is coming to Wakefield! Mark your calendars, this is going to be an awesome event for the whole family. Thank you to IGA Famille Charles for their generous donation of snacks and drinks for this event, to Little Rays Reptiles, and to the Wakefield Dish Lending Library for making this event possible. Fill a whole bag of clothing for just $5 (Remember to bring your reusable bags.) There will also be a bake table, book sale, seedling table and door prizes! Cleaning out your closets? 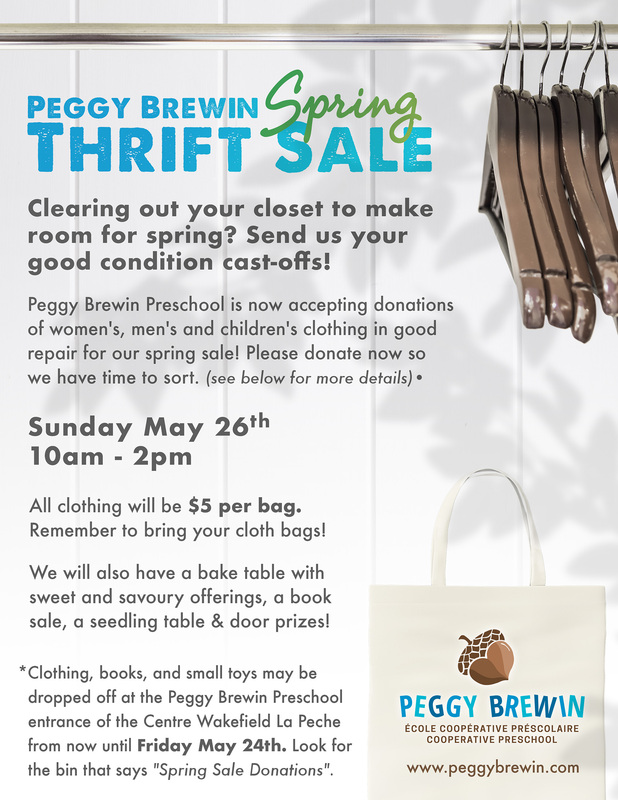 Clothing, books and small toy donations are now being accepted at the Peggy Brewin entrance at the Centre. 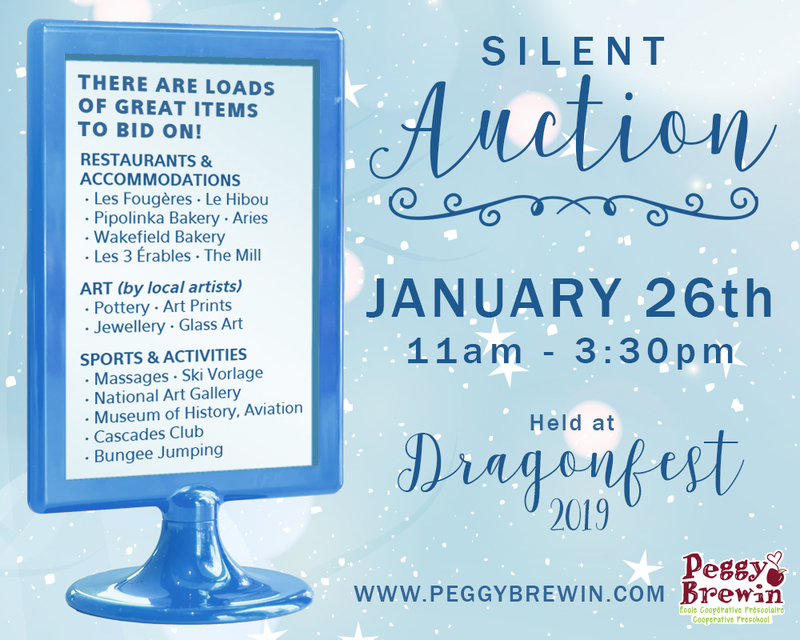 PEGGY BREWIN Cooperative Preschool would like to thank all of the local shoppers who participated in the Silent Auction held at this year’s Dragonfest. Your bids were generous and will help our preschool to maintain the quality programming and care our children enjoy. A special thank you to the community businesses who so generously donated the fabulous array of products and services that make our auction possible. Merci Wakefield! Labels made for your everyday needs – perfect for school, camp, daycare, and home. Mabel’s Labels are the leading provider of durable labels for kids’ stuff, and offer a growing line of products including baby labels, child safety products, sports labels, household organizational labels and seasonal items. They’re extremely durable, they’re laundry, dishwasher and microwave safe – and they’re 100% guaranteed. They also ship for free! Click the “Support a Fundraiser” button at the top right of the page, and select Peggy Brewin Cooperative Preschool (Wakefield) to support our school through your purchases. For every purchase made under the PB fundraising campaign, 20% of the proceeds go to Peggy Brewin.